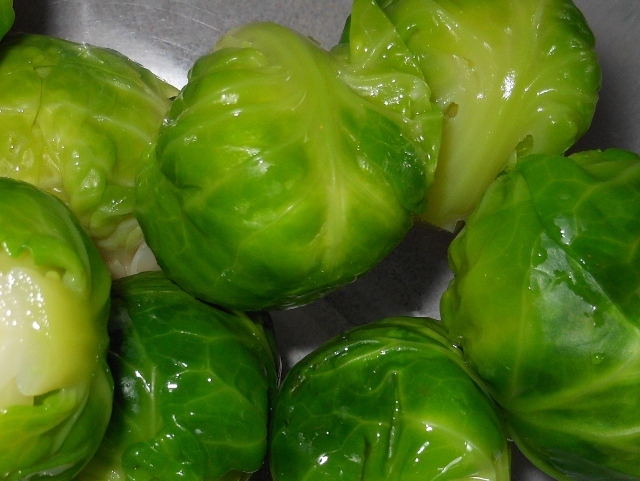 Just a quick post today for the Brussels Sprouts I made today. Loved the broiled effect; wish they would have gotten a bit more toasted but there was quite a bit of moisture so next time maybe I will let drain well before seasoning and broiling. Still very tasty! 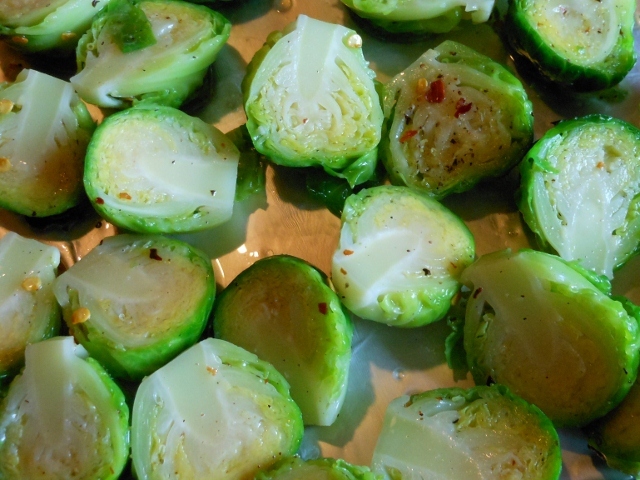 Trim ends from brussels sprouts and remove any loose or discolored leaves. Bring small pot of water to a boil. Add brussels sprouts and cook for 3 minutes. 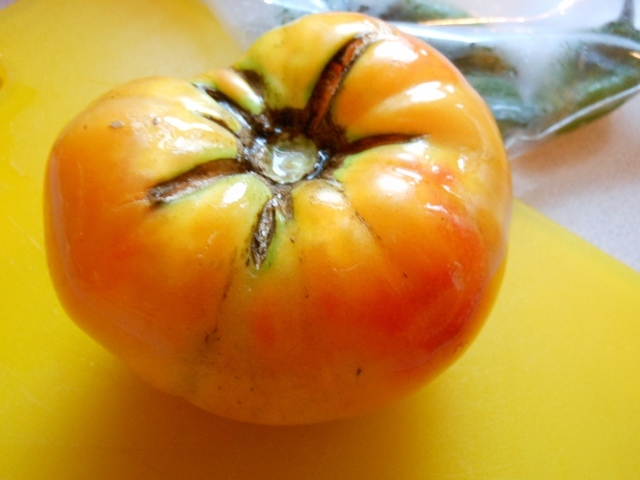 Remove and submerge in cool water until cool enough to handle. 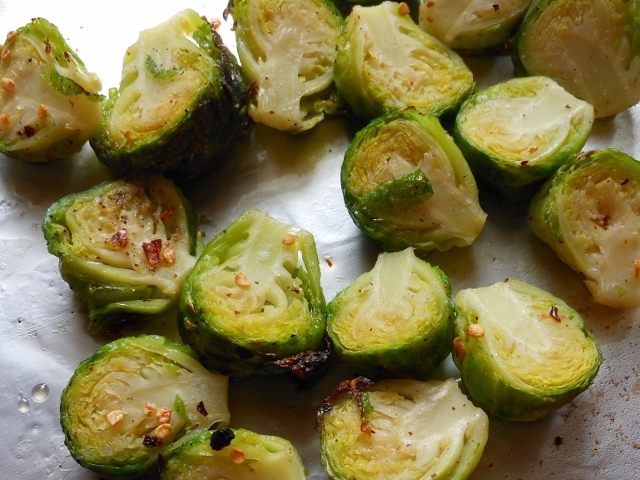 Cut brussels sprouts in half and place in small bowl. 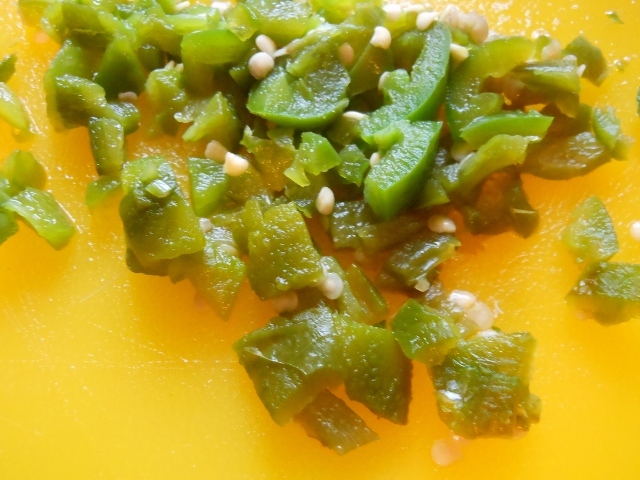 Toss with olive oil, salt, pepper, and crushed red pepper. 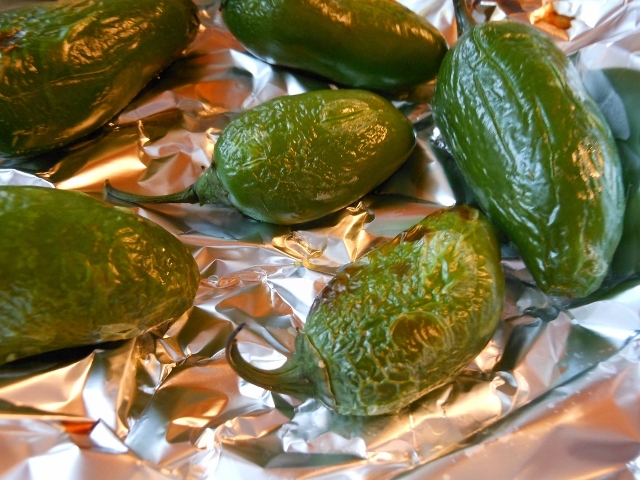 Spread onto oiled baking sheet cut side up and broil for 6 – 8 minutes about 2 – 3 inches from heat. 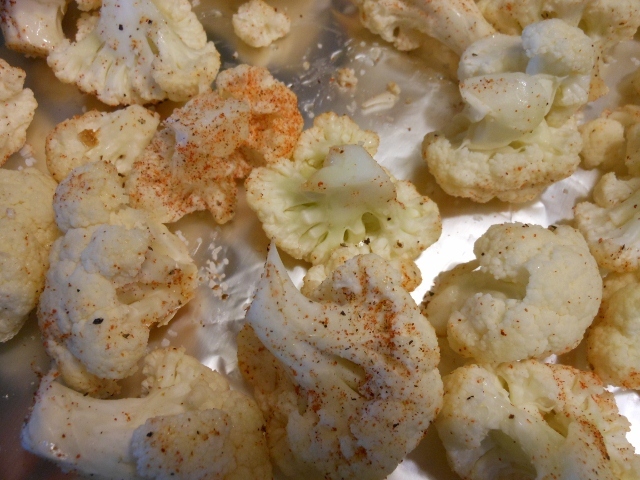 I’ve posted roasted cauliflower before, but I tried a new cooking technique today that was a bit quicker and left the cauliflower crisper and moister. 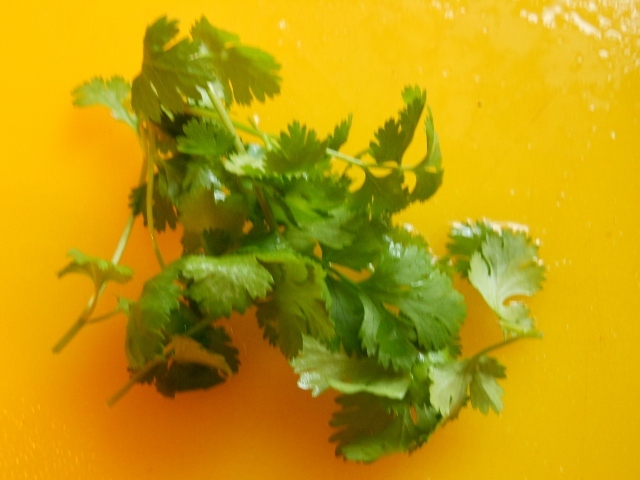 I thought I’d share today’s dish just incase you’d like to experiment. Adjust the seasoning as you like; I don’t think I mentioned in the last post either but parmesan cheese is a delicious addition too. 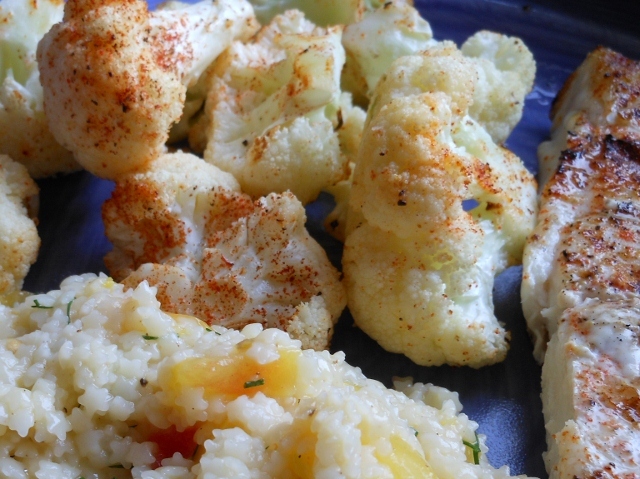 Place cauliflower in bowl and drizzle with a little olive oil; I would estimate I used less than a tablespoon. 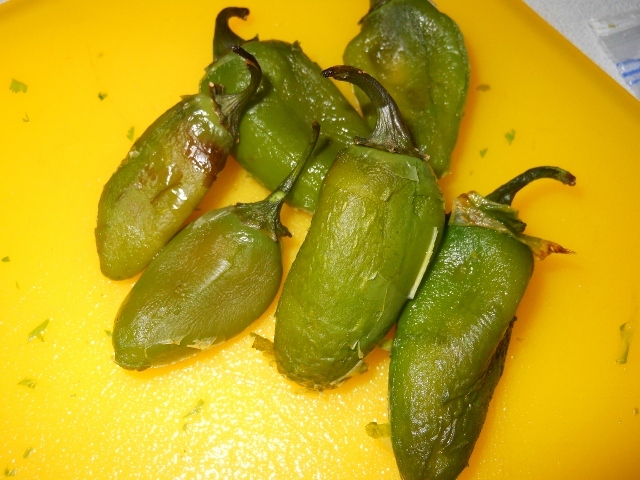 Sprinkle with salt, pepper, paprika, garlic powder, and cayenne. 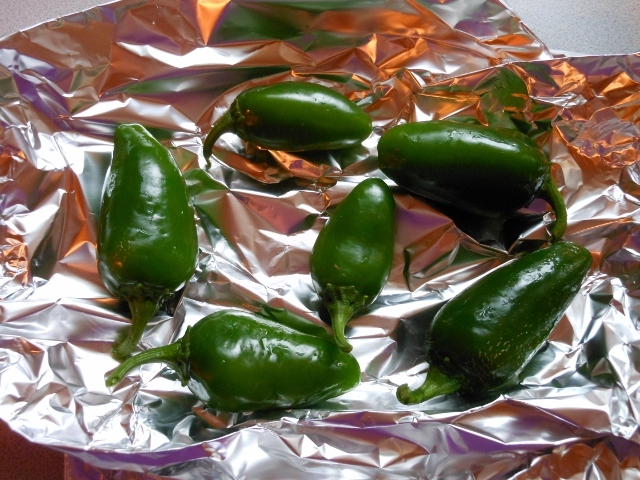 Toss and pour onto foil lined pan. Bake in preheated oven at 425 degrees for 4 minutes. Shake pan or stir about and move to an upper shelf of the oven (I used the second rack position from the top). 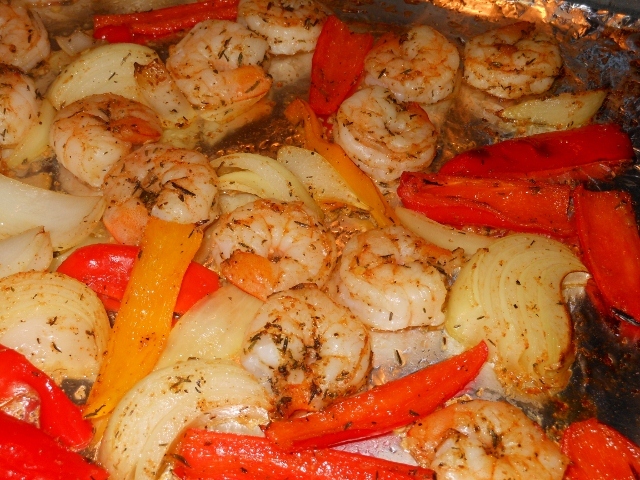 Turn oven to broil and continue cooking about 4 more minutes. We decided to try a broiled seafood dinner tonight. 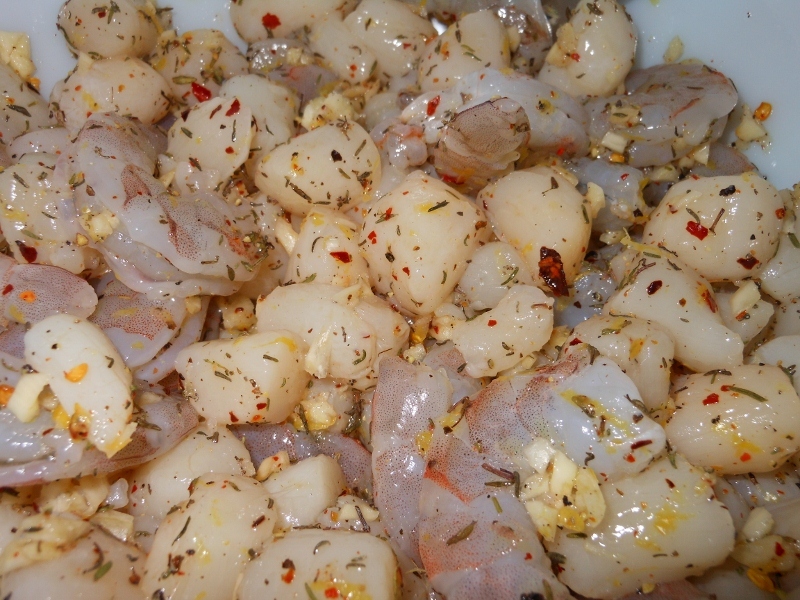 We picked out some bay scallops and shrimp. I must say it was pretty good however we both agree that some changes are due next time we give this a go. I will post as me made it and give my suggestions at the end. Let me know what you think if you give it a try; I love hearing feedback! Rinse and drain seafood well; pat dry with paper towels. 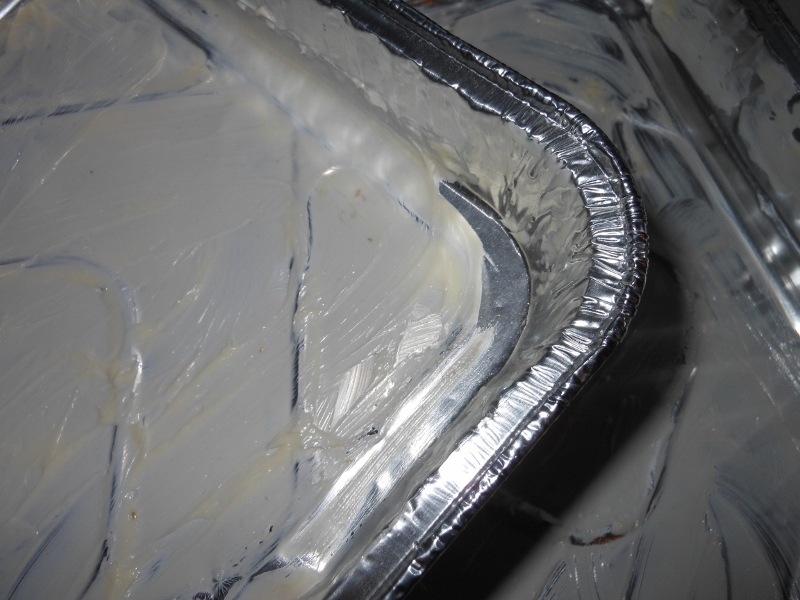 Rub softened butter on 2 small foil pans. 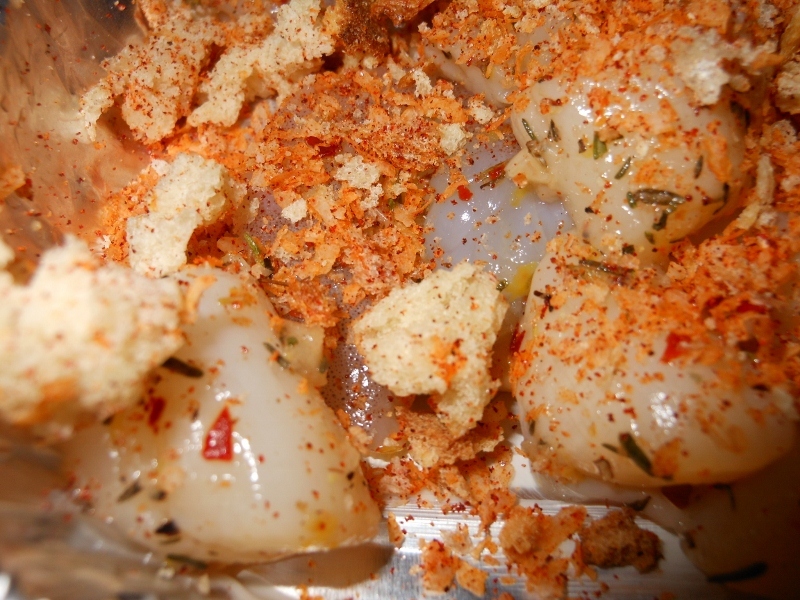 In bowl combine scallops, shrimp, garlic, salt, pepper, crushed red, lemon zest, lemon juice, and sherry. 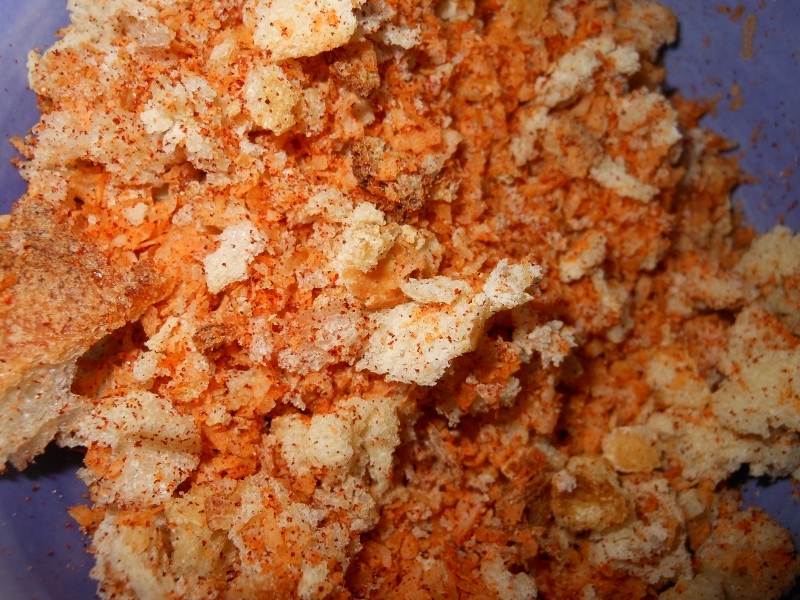 In separate bowl combine bread crumbs, parmesan, and paprika. 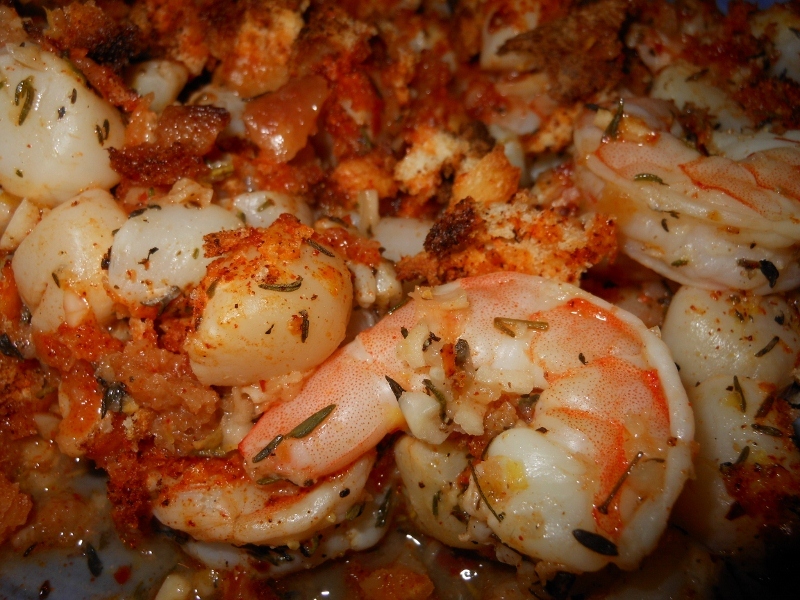 Pour seafood combination onto baking pans and top with bread crumb mixture. Broil 4 inches from heat for 6 – 7 minutes. 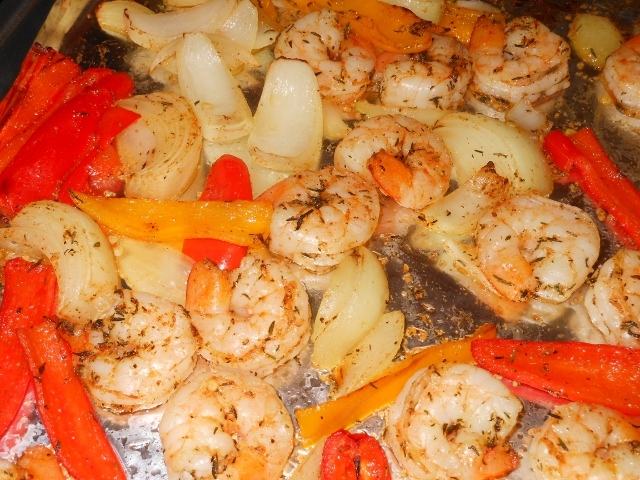 Move pans to lower rack and broil another 3 – 4 minutes until seafood is cooked through. Ok, so now my suggestions for next time I try. 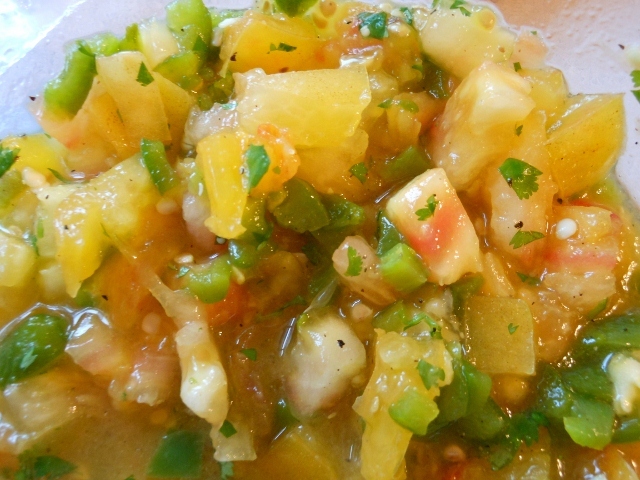 I enjoyed the overall flavor but it was plenty spicy (I did use 1 tsp crushed red though; not the 1/2 listed above). The garlic and thyme were perfect. I think the sherry brought out enough flavor that both sherry and lemon weren’t necessary; but I am not sure which I would opt for ~ probably the lemon as it’s more likely to be on hand. The bread crumbs perhaps should be tossed with a bit of melted butter and the parmesan seemed unnoticeable in the overall scheme of the dish; although I do love parmesan!